You should be dare enough to see the fine prints of the packaged fruit drinks, says ‘contains only 10% of fruit juice’. What what is happening with the remaining 90% we paid for, its just plain water, sugar and loaded with tons of preservatives. With the packaged fruit drinks, Are we really consuming healthy drinks? No,we are just pushing the tons of preservatives in our digestive system. 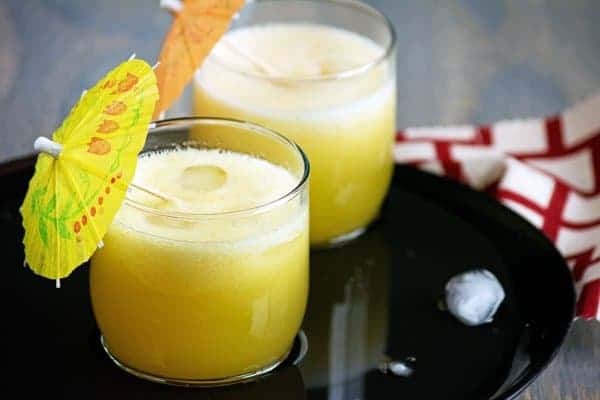 Everyone might be aware of this, and reading across everywhere, but because of some other reasons, opting for fresh homemade juices are rare these days. Making fresh juices at home makes us to lead a healthy life. So, make them today at your home. Got a whole bunch of pineapple at home? thinking of what to make with the remaining? try this pineapple bread, and also Grilled pineapple as a side dish. 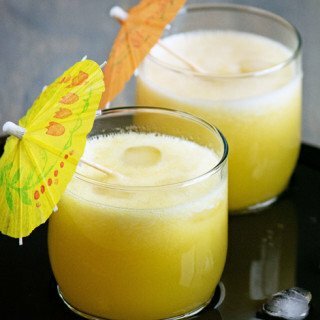 If you are searching for other fresh juice recipes? check these Kiwi Juice Recipe, Recipe for Cranberry Juice with all pictures. Removing the skin of the pineapple is a little tricky task. The easier way of doing that is chop of head and bottom portion of the fruit. Then cut them further down to 12 lengthwise wedges. Then cut each wedges leaving the outer skin. Care to be taken, not to include the small husk of the pineapple. They may irritate the throat while sipping the juice. 1. Making this juice is very simple. 2. In a blender jar, add pineapple chunks, water and sugar. 3. Run the Blender for 1-2 mins completely. 4. Pour this mixture to the strainer, keep aside for 5 min. And using ladle squeeze the pulp further, to extract the remaining juice. 5. Pour it in glasses add ice cubes and serve fresh homemade pineapple juice chilled. Making this juice is very simple. In a blender jar, add pineapple chunks, water and sugar. Run the Blender for 1-2 mins completely. Pour this mixture to the strainer, keep aside for 5 min. And using ladle squeeze the pulp further, to extract the remaining juice. Pour it in glasses add ice cubes and serve fresh homemade pineapple juice chilled. Add few drops of lemon if the pineapples are sweet. If they are sour, add more sugar as required. Check the fruit by pressing, if it tender and soft..its a perfect fruit for making fresh juice. Use organic pineapples to make organic pineapple juice. 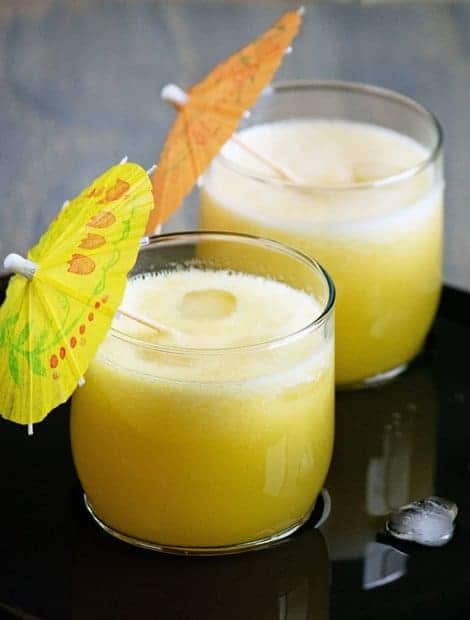 Try adding a cup of fresh mango, watermelon for a different punch taste for this fresh pineapple juice recipe. Have questions about How to cut pineapple? For detailed description check, How to Cut Pineapple with 5 simple steps.